Heart Health Products — OcuSci Inc.
our AutoShip Program; no inventory for you, FREE shipping and big discounts for your patients! The best prices on all of our products are only available at your local Eye Clinician's office. Contact us at 1-888-809-6424 or e-mail us to receive your local Clinician's contact information. Improve Dry Eye symptoms in 30 days - money back guarantee! No fish burps or after taste, just 3 softgels a day. 9 All Natural Ingredients - No muscle pain or statin type side effects. Take 2 tablets a day for 30 days, then just 1 tablet a day for maintenance. 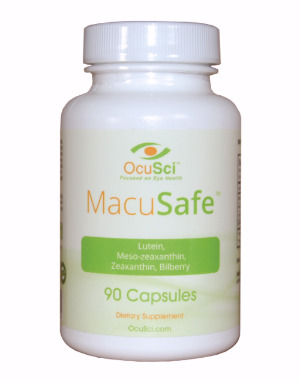 Reduce your risk of Macular Degeneration by 40%. The most potent 3 carotenoid formula available! Relieve Dry Eyes in minutes! Pulls moisture from the air when heated, no water needed! Just three drops of blood, includes a postage paid envelope. Lab processed, as accurate as your doctor's test. Results in 5-7 business days from receipt of sample.